Just over a year ago (14 July 2015) international agreement was developed on the controversial nuclear program of the Islamic Republic of Iran. 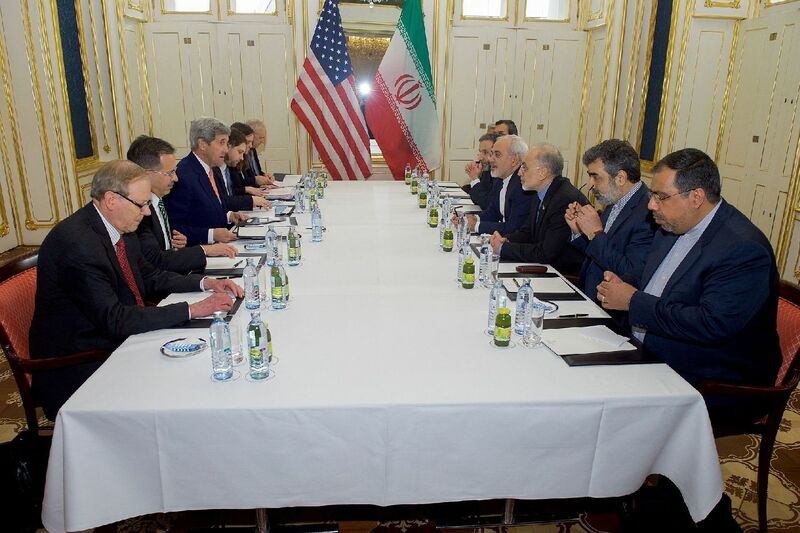 The JCPOA agreement (Joint Comprehensive Plan of Action), also colloquially referred to as the ‘Iran deal’, assumed the abolition of sanctions imposed on Iran by the international community in exchange for giving UN inspectors access to the selected Iranian military installations. Although members of the P5 + 1 (China, France, Russia, the United States, Britain and Germany) and Iran are the signatories of the agreement, the key to its conclusion was the state of relations between Tehran and Washington. After a year the American-Iranian relations still remain the benchmark for the implementation of specific JCPOA provisions. This relationship has also had a huge impact on the troubled Middle East region and the development of economic relations of Iran with the rest of the world, especially European Union countries. Post-revolution relations of Iran with the United States (i.e. since 1979) have been marked by hostility from the authorities of the Islamic Republic, which, according to the ideology formulated by Ruhollah Khomeini, blamed Washington for the country’s backwardness and economic enslavement, which happened at the time of the rule of Shah Mohammad Reza Pahlavi. Iranian Islamic Revolution proposed the creation of a multi-polar world, which currently constitutes an obvious alternative to the U.S.’s position as a superpower. The philosophy of the revolution was very bluntly expressed in anti-American rhetoric: the Iranian authorities have defined the United States as the ‘Great Satan.’ Similarly, the United States described Iran as an enemy of the world order, most clearly exemplified when President George W. Bush included it in the ‘Axis of Evil’ in 2002. The dynamics of the events in the Middle East and the growing threat of terrorism led to a situation in which both sides needed to re-evaluate their views, and work towards repairing the broken relationship, as well as coordinate certain regional activities. The most conspicuous example is the fight against extremism in Iraq and Syria. Joint U.S.-Iranian strategy could give a chance for the final victory over the Islamic State (ISIS). The Iran–U.S. alliance is in this case an obvious one, because ISIS is both an enemy of the West and Shiite Iran. There are also other benefits of a potential US-Iranian cooperation. The West, headed by the United States, through close cooperation with Iran, has an interest in simultaneous weakening the cooperation of the latter with Russia. On the other hand, after the restoration of relations with Washington, Iran would strengthen significantly its position in the Middle East. Under the kindly eye of Washington, Tehran would regain the confidence of a skeptical West, especially EU countries. However, any rapprochement seems to be have become impossible due to various interdependencies and international stance of both countries. Still, the appearance of this seemingly natural alliance would create a wave of fear and anxiety, particularly among the Iranians of the U.S.’s Middle east allies: Israel, Saudi Arabia, and other Sunni countries in the region. There is also a large opposition lobby to the U.S.-Iranian thaw in the ruling elites of both countries. While the Obama administration recognizes a breakthrough in relations with Iran as one of its biggest diplomatic successes, the Republican candidate in the upcoming presidential election, Donald Trump, spoke openly about ‘tearing apart’ the JCPOA agreement after the election. The situation in Tehran looks similar. The moderate circles centered around President Rouhani declare their willingness to constructive dialogue, but the reputation of the United States in Iran has not changed, and conservatives, who yield the power of the propaganda machine and spiritual leader Ali Khamenei himself, make sure it stays that way. The United States is portrayed as hostile to Iran and murals with anti-American slogans and graphics are still visible on the streets of Tehran. An unexpected breakthrough came in September last year, when President Obama called President Rouhani. It was the first telephone conversation of the heads of the two countries in three and a half decades. However, the mainstream of American-Iranian approximation was set by Secretary of State John Kerry and Foreign Minister Mohamad Jawad Zarif, who established a sound relationship based on constructive dialogue. Kerry pointed to the importance of his relationship with Zarif, inter alia, when in January this year American sailors were intercepted by Iranian forces in the territorial waters of Iran, and were quickly and seamlessly handed over to the American side. The U.S. Secretary of State took this as another sign of U.S.-Iranian relations warming up. The statement by Zalmay Khalilzad, a former U.S. ambassador to Afghanistan, Iraq and the UN was also optimistic. In the context of this event he mentioned the scenarios of a gradual restoration of diplomatic relations with Tehran. Khalilzad suggested that at the beginning American diplomats would be placed in Tehran, in the Swiss embassy which represented the interests of the United States. Iranian diplomats would also be allowed in the embassy of Pakistan in Washington. This statement was, however, recognized as unfounded speculation and was quickly denied by the U.S. Department of State with an eloquent statement that there is no such plan, as Iran remains a hostile state, supporting terrorism, whose missile program raises several concerns. In Tehran, a lot of the concerns relate to the potential election of the Republican candidate Donald Trump to the office of President of the United States. The choice of Trump, unlike Hillary Clinton, according to the Iranian public, would mean a return to anti-Iranian policy. Republican candidate was one of the critics of last year’s P5 + 1 agreement with Iran. He also announced that after coming to power, one of his first goals would be the renegotiation of the agreement with Tehran, which he defines as ‘catastrophic.’ Concerns in Tehran are therefore obvious, and characteristically for the authorities of Iran, they could not remain unanswered. A response to Washington was sent by Ayatollah Khamenei himself, saying that if the U.S., as announced by some candidates, was going to ‘tear up’ the JCPOA provisions, then Iran would ‘burn’ the agreement. So far everything is still in the realm of rhetoric, but as ought to be already clear, there is the possibility of rejection of the terms of the agreement in specific circumstances on both sides. Another heated discussion has risen around the Iranian assets frozen by the U.S. Congress in American banks, which were secured due to the ruling of the U.S. Supreme Court for the compensation to the victims of terrorist attacks. The battle of the Iranian government to recover two billion dollars has lasted for several months, and Iran has already appealed to the UN Secretary General. Minister Zarif pointed to violations by the United States of international law and of the integrity of the state, at the same time raising the matter of compensation to the Iranian nation for the hostile policy of the United States. He referred, inter alia, to the shooting down of an Iranian passenger plane by an American cruiser in 1988. Another object of U.S.-Iranian dispute is the vision of the Middle East region. Theoretically, Tehran and Washington are to achieve a common goal, which is to win over the Islamic State, but a contentious issue turns out to be primarily a vision on Syria (especially) and Iraq after a possible defeat of ISIS. Tehran is an ally of Bashar al-Assad, and the United States seeks to withdraw the power of the Alawite leader, and hold free and transparent elections in Syria. Further extension of the Shiite sphere of influence in Iraq, Syria and throughout the ‘Fertile Crescent’ raises some concerns in Washington, and, in particular, among its allies, Israel and Saudi Arabia. As far as the future of Syria, Iran is closely linked with its vision to Russia, which further complicates the situation. The last sticking point is the implementation of the JCPOA itself. The Iranian propaganda tool, the English-language Press TV, underlines that it was the United States’ fault that, after the implementation of the JCPOA, certain provisions previously blocked by sanctions have still to be restored. Not all the Western banks exchanged SWIFT with Iranian banks, and thirty Iranian banks have not been included back to the SWIFT system. Companies from around the world still cannot trade with Iran using the letter of credit transactions, which increases the financial risk. The authorities in Tehran blame American politicians for discouraging European banks from cooperating with Iran. The United States has emerged, therefore, as a number one enemy in the Iranian perception of Iran’s rapprochement with Europe, and are a source of negative propaganda and ‘Iranophobia’. In business, however, there is a direct deal to be settled. A large and necessary interest that Iran wants to achieve with the United States is the purchase of new machines from Boeing. Sources indicate that with 250 machines Iran currently has, 230 require immediate replacement. Iran plans to buy 100 aircraft for commercial use for 25 billion dollars. This is to be the second, after the agreement with the European Airbus Group, trade deal counted in billions in the airline industry. Such a purchase would be felt even in the U.S. economy. It would generate a number of jobs, and would create the need for training pilots and technicians of new machines. Therefore, it would be the deal which would have to be implemented over several years. It should be noted that the sale of aircraft to Iran has aroused huge controversy in the United States. Nevertheless, even if it comes to the effect in this shape, skeptics argue that the tendency of warming up relations between the two countries would not continue after this deal. About a million Iranians now live in the United States, which might mean a huge business potential, but it is worth remembering that many of the Iranian immigrants overseas are people closely connected or even related to Shah M. R. Pahlavi exiled during the Revolution. Cooperation with Iranian diaspora in the United States is also a controversial topic for the Tehran conservatives. Relations between Iran and the United States are complex and multi-threaded. On both political scenes there are both ‘doves’ and ‘hawks’. The attitude of Obama, Kerry on the American side and Rouhani and Zarif on the Iranian side could guarantee a constructive dialogue, but the position of Khamenei, and the possibility of Donald Trump winning election, cast doubt on the thesis of the American-Iranian rapprochement in the coming years. There is a large group of countries in the Middle East, which are not happy about the American-Iranian alliance. Iran is concerned about the delay in implementing the JCPOA provisions, and blames the United States for this, which again creates tension between Tehran and Washington. The election of Hillary Clinton as President of the United States is desired by the Iranian side, and can secure the survival of JCPOA. Large contracts with European companies, e.g. Airbus, can be considered as the securing of the JCPOA after the possible choice of Trump. The United States does not trust the Iranian authorities (the still strong conservatives especially) and fear the rise of Iran in the region after the lifting of all sanctions. An optimistic sign for the United States may be a victory of advocates of reform supporting Rouhani in the recent parliamentary elections in Iran. An American-Iranian agreement could have a positive impact on the fight against the Islamic State, as well as the stabilization of Afghanistan.